I've been ridiculously busy lately, but I have managed to preserve the first half of my mornings as me-time. Most days that just means a workout, but on rest days that means computer games and more interesting breakfasts! And as Christmas has really gotten me into the kitchen, I've been churning them out like no one's business. 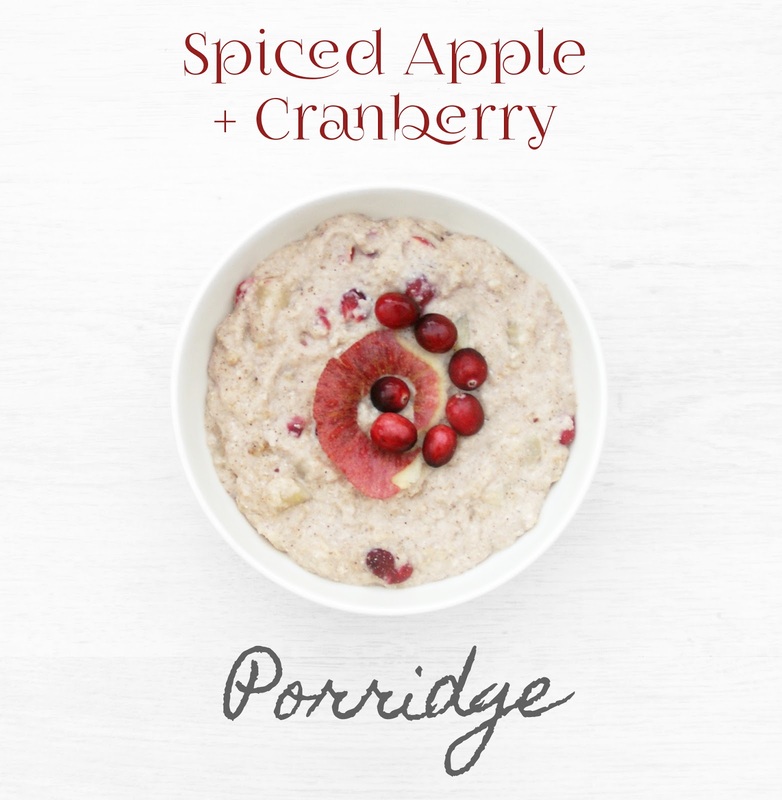 So after my recent roasted chestnut porridge and a new spin on the mince pie, porridge-style, I decided to get more use out of the apples sitting in my fridge and the enormous punnet of cranberries my dad recently brought me. 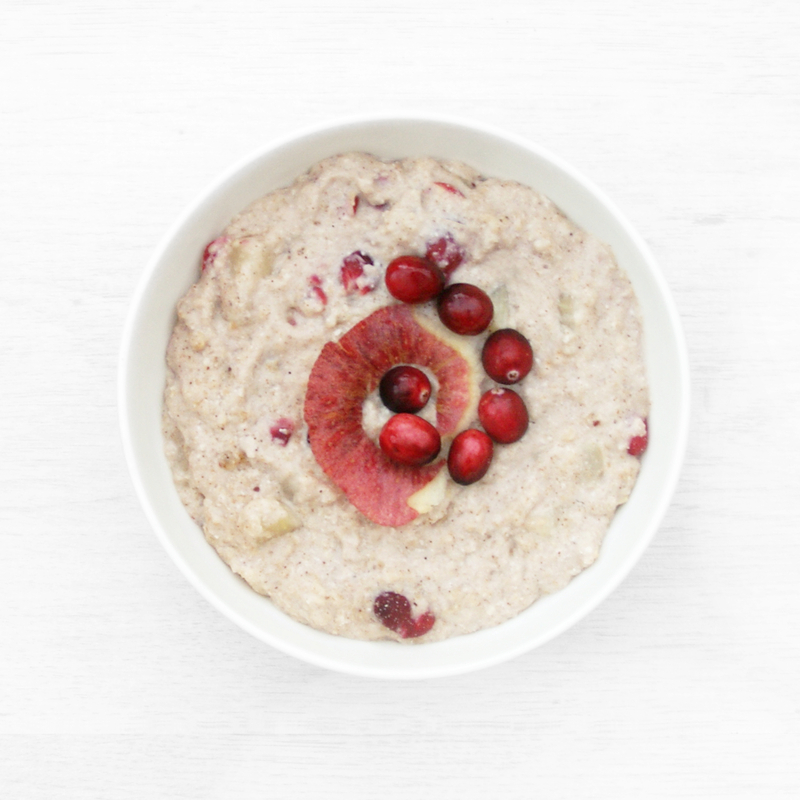 So here's another healthy Christmas breakfast recipe: spiced apple and cranberry porridge. It's full of antioxidants, counts as 1.5 of your 5 a day, is loaded with vitamins, minerals, fibre and protein, is low-fat and contains only natural sugars! There is absolutely nothing to feel guilty about here. Having said that, there's not much to feel guilty about with my winter spice chocolate porridge, either. 1. Combine apple and 25ml of water in a sauce pan and heat gently over medium-low for 15 minutes. 2. Turn the heat to medium and add the cranberries and mixed spice, cooking for 10 minutes. 3. Thoroughly Combine the oats, whey & Stevia in a bowl, then add to the pan. 4. Add milk and freshly boiled water and heat for 3-5 minutes. 5. Turn the heat down to low and simmer for 5-10 minutes to thicken. 6. Transfer to a bowl, garnish with apple peel & cranberries and serve. • I used Pulsin Simply Whey & fresh cranberries.